After a whole day at work, I went to Megamall despite the rain (ugh) because I wanted to check out Manels with Angel and Hezron. The point of going there was to see the stuff Manels had to offer because they have a surprise for everyone! Read on to see what caught my eyes and find out what their big announcement is! My eyes were actually initially drawn to the gold and thought I didn't really dig silver. 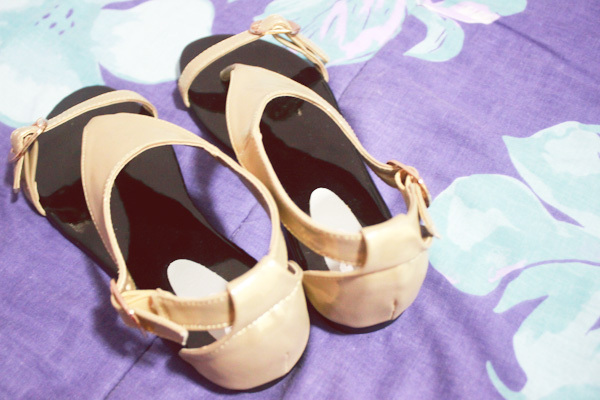 But sometimes, it takes fitting the shoes to really appreciate them, yes? So when I tried both on, I just couldn't pick and decided I will get both instead. In-store photos are from Angel. 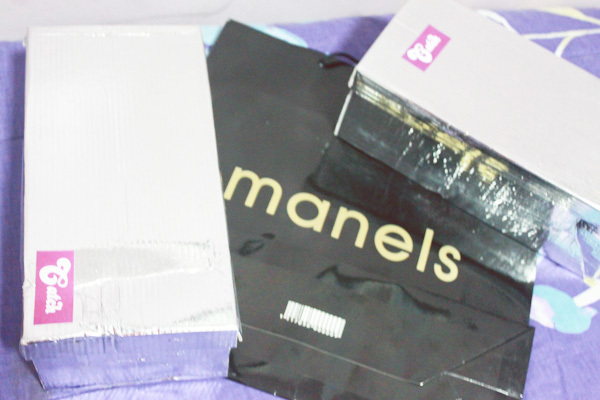 These are only two of the many lovely products you can find at Manels. The best part? 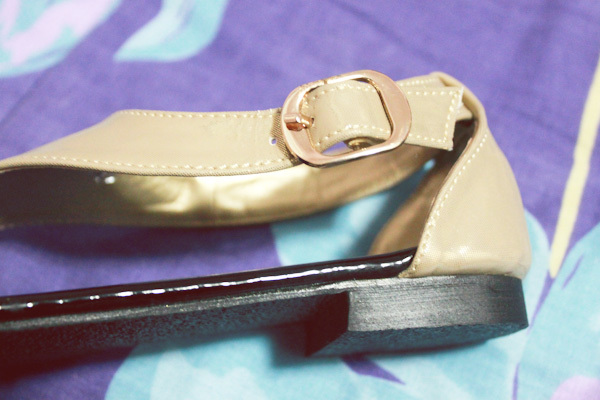 You can get these babies at 50% off starting TODAY, August 15, until August 21. 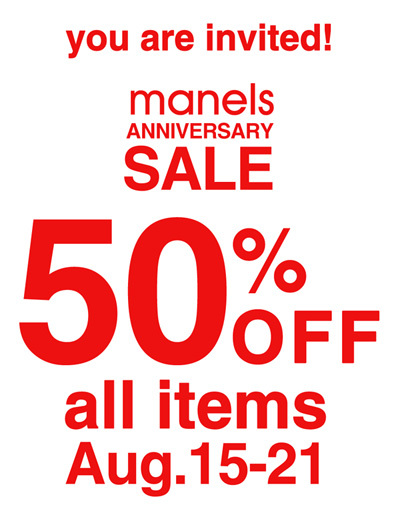 Yup, it's Manels' Anniversary Sale! ALL shoes, bags, and leather goods are at 50% off at ALL Manels branches. So if you fancy the footwear I just showed, or have been eyeing a certain bag/belt/etc, then it's the perfect time to drop by the nearest Manels branch. I suggest you go as soon as you can so you you'll still have a lot to choose from. I'm actually treating my mom to this because she has been wanting new flats. Perfect!